Suggested Fitting: .5 - 1 size larger than street. I read all the reviews offering different advice on the sizing and found that the advice on the web page in the "sizing" section was the most accurate. Order up .5-1 size. My son is a (women's) 8 and the 8.5 was about right...the 9 would have been fine, too, as these are leather and will have a little stretch (i.e. the 8.5 were a little snug, but better with age, the 9 would have been fine right away.) Hope that helps you with any confusion with the reviews. 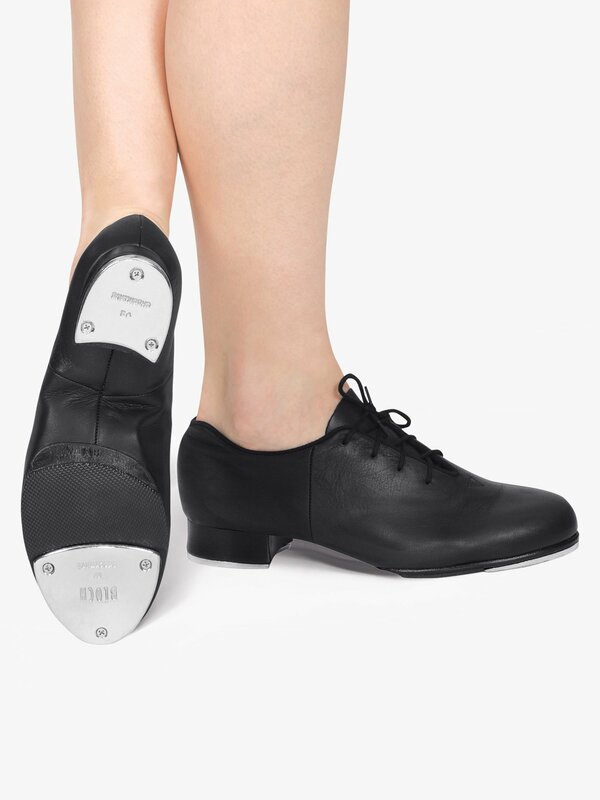 These tap shoes are great for anyone changing from full sole to split sole. The sound quality is excellent and the shoe fits comfortably around the heel and toe. With my other tap shoes I used to get blisters but with this tap shoe I have found that the design of the heel helps against friction. However, if you are a tap dancer that goes up on your toes a lot I would recommend being careful because the leather on the toes tends to wear away over time. I have had mine for about a year and I am getting new ones because the leather has worn away and the color on the toes has faded. With my other tap shoes they last around a year and a half however I have found that these don’t last quite as long for some reason. I would highly reccomend these shoes for intermediate or advanced tap dancers who are looking for tap shoes that last around a year. 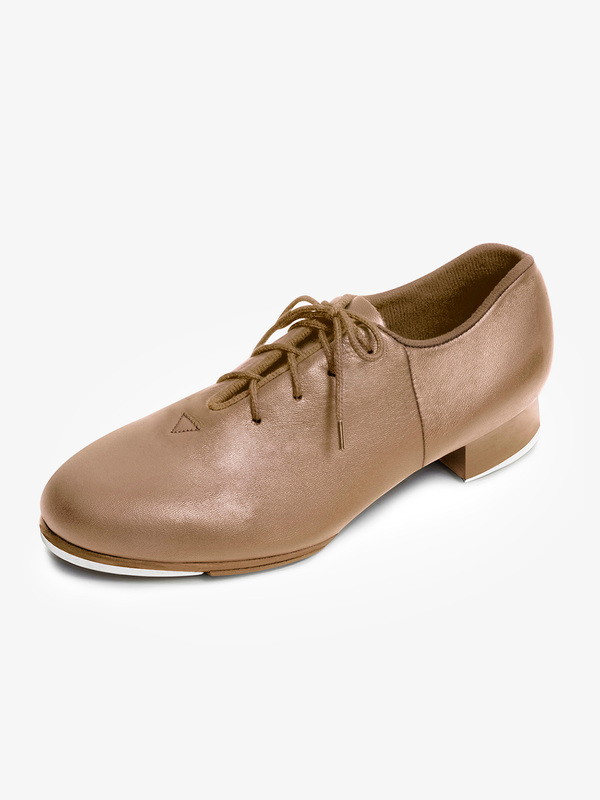 These tap shoes run big and I would reccomend getting a smaller size because split soles tend to stretch out over time. I wear size 8 street shoes, and read in the reviews that everyone was having issues with the shoes being too big. I decided to get an 8, and it was probably 1 to 1.5 sizes too small! I am sending these back and reordering them in a larger size. Hopefully this will work out! My daughter has really been wanting a tap shoe with a flexible sole. I bought these and they are great, but I believe they run large. I chose the size based on the size chart. She is an 8, but I think they are really a 1/2 to a full size larger than "actual" size. She wore them so they cannot be returned which is a bummer. Since we are purchasing online, we depend on the size chart to be accurate, I always use it to choose which size to order. Maybe her foot will grow still, she is 12. This was the 2nd pair of tap shoes I ordered. The first ones I got were too small (I got size 9, my usual street shoe size). I got these in 9.5 and they were wayyyy too big. I tried to do a toe stand and was afraid of breaking an ankle, even with socks on :( I don't know what to do since there seems to be no tap shoe size that works for me, I guess I have to search in stores. Very disappointing. My old tap shoes are size 9 so I'm not sure why these ones weren't working for me. They also were very clunky and didn't seem to conform to my feet like my old ones do. I recently purchased these Bloch Tap shoes for my 10 year old daughter. She tried them on and said they felt great. She wore them to class was was very happy with the shoes. They didn't rub her ankles. The shoe part is a softer leather and the taps themselves have a nice sound. My daughter wears a street shoe size 6-6.5 and I bought the adult 6.5. She has some room to grow. I am hoping they hold up so that my younger son can wear these taps once she grows out of them. As a tap teacher these have been great. The quality is nice and they are pretty comfortable. I normally wear a 9-9.5 street shoe and am happy with these tap shoes in a size 9. They are a tiny bit snug but i like them fitting that way. Love the split sole bottoms. After being out of tap for 20 years, I am thrilled to throw out my old, uncomfortable character tap shoes and trade them in for comfort! I am 45, and loving the ability to tap away in comfort! I'm taking my first tap class as an adult and found these in my local dance store. I normally wear an 8.5-9 in street shoes so the girl brought me out a 9.5. They fit fine when I tried them on, but once I started tapping in class I realized they were a bit too long. I don't feel like I can fully use my front tap because it's too far away, if that makes sense. So I am trying a 9 and hopefully that will work. Because otherwise these are a great shoe. Super comfortable, the leather is supple and soft and you can tell they will last forever. Like other reviewers, I was not sure what size to order. I looked at 2 other pairs of full-sole taps shoes that I already have (1 Bloch, 1 Capezio) and they are both size 8. I orderd the 8 and it was too long in the toe box. I went down to my street shoe of 71/2 and they were still too big. My toes are kinda short and they were like an inch from the tip of the shoe (NOT good for tip rolls...) So I sent those back and finally ended up with a 7. These fit great and are sooo comfy. I've never had split-soles, so these are fantastic! The good news is, it is very easy to make the returns to DDS, just follow their procedure for shoe returns. Definently worth the great price, just choose your sizing wisely. They are soooooooo comfortable! Sometimes if I forget socks it doesn't even matter!!!! They're awesome.... best shoe I own! Shoe is good quality soft leather, toes are stiffer than rest of shoe. The sizing chart recommends same or 1/2 size larger than street shoe size. I definitely needed the 1/2 size larger. I bought these shoes to replace my So Danca tap shoes, and while I was a little bit iffy on the price at first, it was totally worth it. You definitely get what you pay for with tap shoes. These shoes look great and make clear, loud sounds, and are durable. The split sole is great for toe work, which causes the sole to split from the shoe on full soled shoes. They are also extremely comfortable. I used to have to wear socks with my So Dancas, since they gave me blisters on my achilles tendon, whereas with these I can wear them without socks and not have a single blister. They may be a little pricey for a first time tap dancer, but if your an intermediate/advanced tapper and need great tap shoes that last, I would highly recommend these. I've had two pairs of these and I absolutely love them. I've had the ones I'm wearing now for about a year and a half and they're still in great condition. The middle of the sole of the shoe doesn't have a shank of any sort, as many tap shoes do, and this quality makes toe stands, wings, etc. much easier. They are very flexible and easy to move in. As far as sound goes, it's average. Compared to expensive, professional tap shoes, the taps are a little high pitch and not as rich in tone. But for the price, the sound is pretty good (you can just replace the taps if you need a richer tone). Get these shoes, they work well for both beginners and professionals. For sizing reference, I'm a 61/2 or sometimes a 7 and a 6M is perfect for me. Just purchased three more pair for my students! They are a great fit with wonderful flexibility - highly recommended!! I own a dancing school and teach several tap classes a week. Hands down these are the best tap shoes I have ever worn. They are incredibly durable, sound fantastic, and have lasted way too long. On to buy my second pair! I love these shoes! The inside lining is so soft and provides great comfort on my feet. The sound of the taps is so clear and loud. Only thing that I wish were different is that the shoe laces were longer because they are shorter than I would like. Although shoelaces are easy to purchase elsewhere. Other than that, I am completely satisfied with these tap shoes! I previously owned the Bloch full soul tap shoes and needed to advance to split sole. My old shoes were a size 10 and they fit perfectly. I wear a 9 1/2 street size so I ordered a half size larger like instructed and they were WAY too big. They are very comfortable just like my old ones, but the sizing is way off. 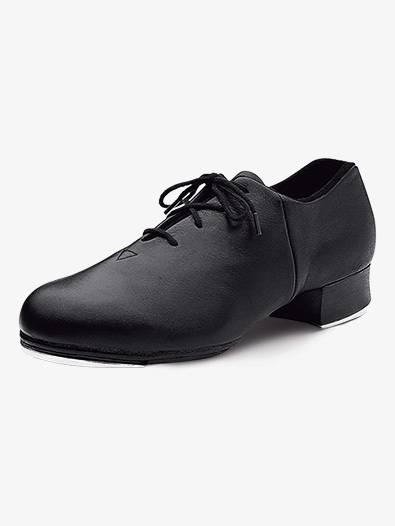 I am a competitve tap dancer and have had this pair of shoes for about three years now and when they finally wear out, I am planning on buying a brand new pair. I bought these in March of this year and have been getting great use out of them. They fit great with or without socks and I can point my foot in them as well as I can in a jazz shoe. The tap sounds are very clear and I feel like I have really good control of my feet. I love these shoes! My daughter currently has a 7.5toe is near the end. I want to order another pair. what size should I order? Her street shoe is a size 9.5-10. Hello! Thank you for contacting us. We strongly recommend to order 1/2 a size larger that the street size or the same as the street size. We recommend the size 10 since she's in between sizes. What kind of arch support do these shoes have? Is there any paddingcushioning in the insole? Hello! Thank you for contacting us. These shoes have an insole that offers the regular padding and are very flexible. What is the difference between lace up Techno tap shoes and TapFlex tap shoes? The difference is the taps. The Shockwave taps that are on the TapFlex have a louder, deeper sound. What size should I get, size 8.5 in mens. What size tap shoe should I get if i am an 8.5 in mens? This is a unisex shoe, but it is fit for women. Men need to order 2 to 2.5 sizes larger than their street shoe size. Can I replace the taps with Bloch Techno Taps? I really would like these shoes, however i think i prefer the techno taps. i believe i can get my hands on some. Will the screws & screw holes be in the same place, will these screws be long enough? To get the proper fit for new taps you would want to consult a cobbler or a shoe repair. We unfortunately do not know the comparison of hole depths or the placement of the screws between the fitted taps and the techno taps. However, if the screws are different lengths/widths you can always look to purchase them at your local hardware store. If a child is wearing a child size 4 or 5 you would need to convert them into adult sizing. How you do that is by first adding 2 sizes to their child size. That would mean they wear would wear an adult 6 or 7. You then look to see if the suggested fit for this shoe advises to go either go up or down more. The suggested fit, which you can see on the sizing tab, advises to order same to 1/2 a size larger than street shoe. What this means is that some customers find their appropriate fit is to order same as their street shoe while others find it necessary to go up a 1/2 a size. Unfortunately these shoes only come with attached taps. Hi there, please advise, it says if i still want to purchase the item i need to change my country to united states, ...but i don't live there, please help as I would desperately like to purchase bloch tap flex shoes. We sincerely apologize but Capezio and Bloch will no longer let us ship out of the continental US. If you have a family or friend in the US and are able to have it shipped there, or can have it sent through a US freight forwarder, they can always forward it to you. We apologize for the inconvenience. 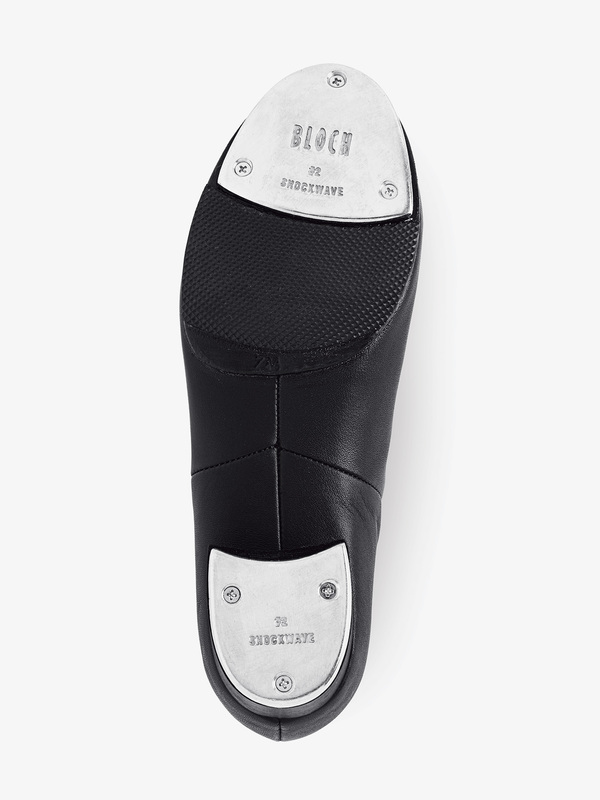 Does the Bloch s0388L Black tap shoe come in wide sizes...is that what M and N are?